Thank you Tom’s of Maine for sponsoring this post. Have you been on the fence about trying natural deodorant? Do you feel like there is no way? I know because I thought the same, but thanks to Tom’s of Maine I am now a believer! So I hope you can be too. Watching our sons grow up so fast, has caused us to pause and breathe, and try to learn how to better take care of ourselves and them. It’s funny how having little people depending on you to protect them and love them, can make you grow a little wiser. We have started pay attention to the ingredients of the things we ate and decided that we want fewer ingredients and more nutrition in our bodies. So why not do the same about what goes on our bodies? 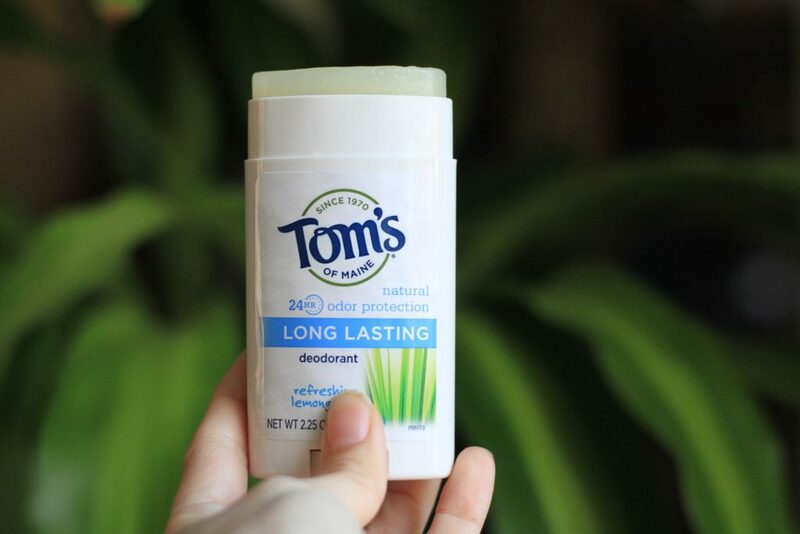 Tom’s of Maine is the #1 natural deodorant brand with a number of award-winning products among its deodorant portfolio so it was obviously the way to go for us. They have many scents, including Lavender, Tea Tree, and Lemongrass. The entire line is free of aluminum, artificial fragrances and petrochemicals and also no animal testing. But there was a problem, I am a mom of 4 boys, we are always doing something and every night I wish that there was just a little more time so even after changing our food and other products, I felt a little nervous about changing to a deodorant that I didn’t know. I went back and forth with myself about it, because let’s face it, I’m wearing yesterday’s t-shirt right now and I know a few of you are too! When I finally did it, I discovered that it wasn’t as scary or complicated as I thought. Here is why I did it and you can too. Don’t just take my word for it, though my story is true to me, you will find what makes you passionate about it, make it your own story! Visit this website to learn more about Tom’s of Maine natural deodorant and why many others are making the switch. Your body is used to something, you need to give it all the time it needs to detox and be used to the new natural way, usually, it will only take a few days, there are some methods that you can use to try to speed up the detox process. Either way, be patient and keep going. 3-Don’t be scared of sweat! Since we are going natural, we must accept that sweating is natural, and good for your body! Don’t expect a natural deodorant to act like an antiperspirant. 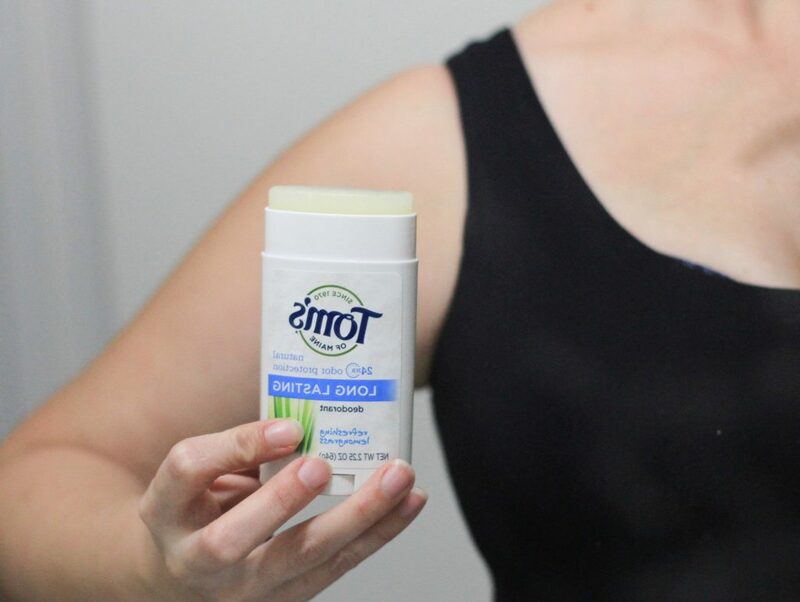 Antiperspirants reduce perspiration. And per FDA guidelines, must include a form of aluminum as an active ingredient. 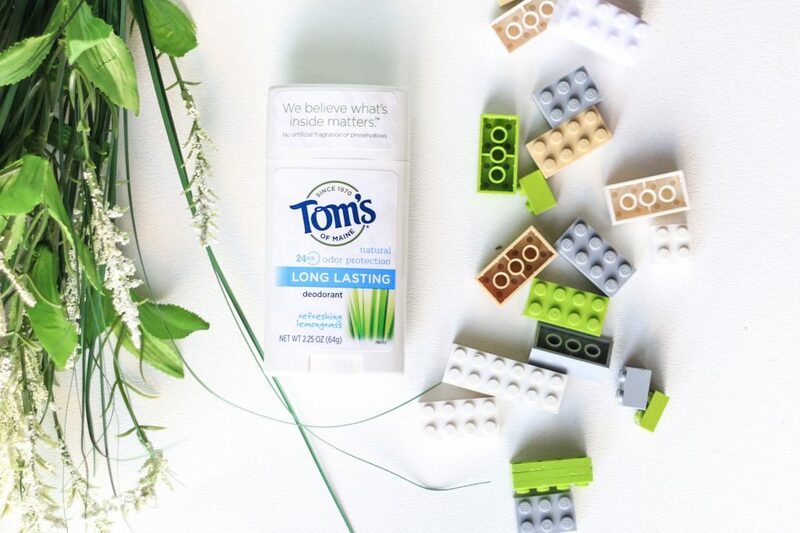 Tom’s of Maine natural Long-Lasting deodorants can give you confidence by providing odor control in an aluminum, petrochemicals, artificial fragrances and preservatives free formula. Instead, you will have hops and natural fragrances, along with a blend of vegetable oils, organic aloe leaf juice, and other plant-based ingredients. The result is 24-hour odor protection you can trust. try a few different scents, your body might react better to lavender while somebody else might prefer unscented. After testing a few of their scents, I decided that my favorite is Lemongrass it’s so fresh and wonderful, and it keeps me smelling great even through our crazy adventures everywhere. If you are like me, and are always on the go, chasing little people, you might get sweaty a lot, but that’s ok! 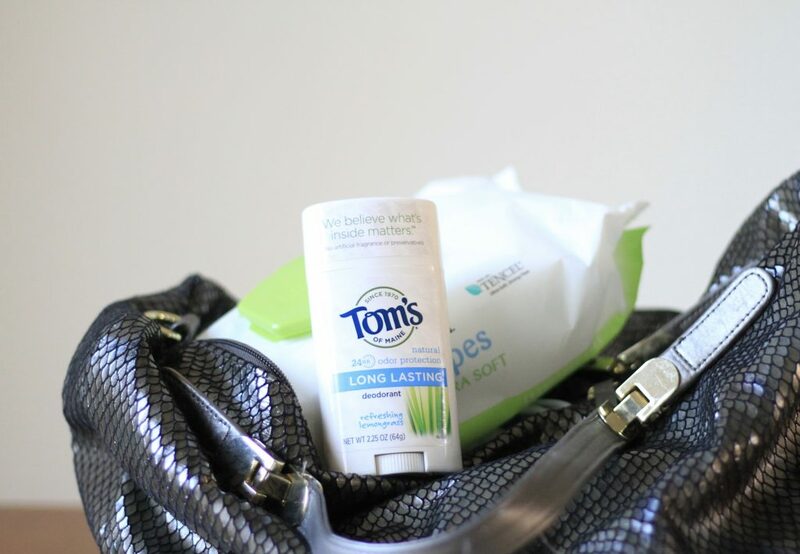 Keep a little refreshing bag in your purse with some wet wipes and your favorite Tom’s of Maine natural deodorant. So that at any moment, if you feel like the sweat is going overboard, you can quickly take care of that by cleaning up your underarms and applying more deodorant. So who is ready for this new fun adventure? Taking small but huge steps to better ourselves is also a way to take care of our tiny people. Tell me how your journey goes! Thank you for the information. Our family has made the switch to natural products and I haven’t found a deodorant I love yet! Oooh I might have to try this. I often worry about the chemicals in my current deodorant.